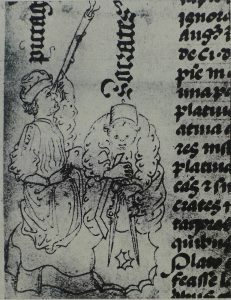 Pythagoras and Socrates, Balliol College Ms. 238, Bl. 27r. This episode is the first part of our second ‘Pythagorean trilogy’ (the first was Episodes 16-18). In it we discuss the end of Pythagoreanism in the Hellenistic period, and the birth of a new kind of ‘Pythagoreanism’, the text-based pseudo-Pythagorean writings. As often in western esotericism, it is only when a movement or thinker dies out that it really comes to life, and this was certainly true of Pythagoras and his school: we begin to see in the Hellenistic period a vast and complex literature on all manner of subjects appearing in the Greek world. It was this pseudo-Pythagorean literature, alongside the philosophical movement known as Neopythagoreanism, which truly formed the legacy of ‘the Pythagoreans’ in western esotericism, so this episode also begins to look ahead to the Renaissance, when certain of these texts were translated into Latin and used as part of the project of constructing the perennial philosophy. Huffman, Carl, ‘Pythagoreanism’, The Stanford Encyclopedia of Philosophy (Winter 2016 Edition), Edward N. Zalta (ed.). On ‘Pythagorean hippies’. Robin Waterfield, (trans. ), 1988. The Theology of Arithmetic. Phanes Press, Grand Rapids, MI. Thesleff, H., 1965. The Pythagorean Texts of the Hellenistic Period. Abo Akademi, Abo. Thom, J. C., 1995. See below, on the Golden Verses. Zhmud 2012 (see below), 169-92, argues that the ‘split’ among the early Pythagoreans is a late doxographic invention and never happened. Baltes, M., 1972. Timaios Lokros: Über die Natur des Kosmos und der Seele. Brill, Leiden. Bonazzi, M.; Lévy, C. & Steel, C. (Ed. ), 2007. A Platonic Pythagoras: Platonism and Pythagoreanism in the Imperial Age. Brepols, Turnhout. Burkert, W. (1961). ‘Hellenistische Pseudopythagorica’, Philologus 105 : 16-43. Celenza, C. S. (1999). ‘Pythagoras in the Renaissance: The Case of Marsilio Ficino’, Renaissance Quarterly 52 : 667-711. Centrone, B. (2014). ‘The Pseudo-Pythagorean Writings’. In: Huffman, C. A. (Ed. ), A History of Pythagoreanism, Cambridge University Press. Delatte, A., 1915. Études sur la littérature pythagoricienne. Champion, Paris. Dillon, J. (2014). ‘Pythagoreanism in the Academic Tradition: The Early Academy to Numenius’. In: Huffman, C. (Ed. ), A History of Pythagoreanism, Cambridge University Press. Dillon, J., 2003. The Heirs of Plato: A Study of the Old Academy (347-274 BC). Oxford University Press, Oxford. Festugière, A.-J. (1945). ‘Les Mémoires Pythagoriques cités par Alexandre Polyhistor’, REG 58 : 1-65. Harder, R., 1966. Ocellus Lucanus. Weidmann, Dublin and Zürich. Huffman, C., 2005. Archytas of Tarentum: Pythagorean, Philosopher and Mathematician King. Cambridge University Press, Cambridge. Thom, J. C., 1995. The Pythagorean ‘Golden Verses’. Brill, Leiden. Zhmud, L., 2012. 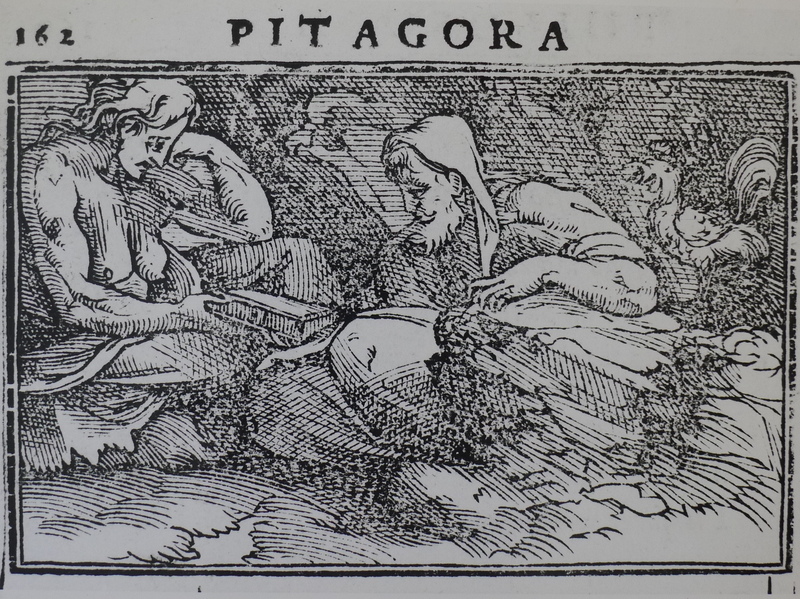 Pythagoras and the Early Pythagoreans. Oxford University Press, Oxford. Zhmud, L. (2014). ‘Sixth-, Fifth- and Fourth-Century Pythagoreans’. In: Huffman, C. (Ed. ), A History of Pythagoreanism, Cambridge University Press.